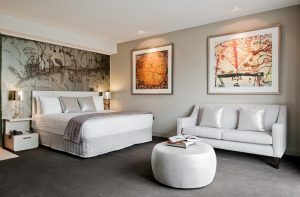 Global Travel Media » Blog Archive » Mantra Hotels Launches Biggest Ever Global Sale! Mantra Hotels Launches Biggest Ever Global Sale! Mantra Hotels is set to launch its biggest ever Global Sale with massive savings on more than 130 Mantra, Peppers, BreakFree and Art Series Hotels, booked between 13 – 21 February 2018. To book any of the below or to check out the other fantastic offers available, visit www.mantrahotels.com or call our 24-hour Reservations Centre on 1300 987 603. Don’t delay – the deals are on sale for the next nine days or until sold out! Port Douglas: Discover the magic of Port Douglas with a stay at the popular Mantra PortSea. Offering spacious accommodation, a swim-up pool bar and a range of leisure families, the resort is perfect for couples and families alike. Stay from $99* per night in a Hotel Room including 2-for-1 continental breakfast (minimum two night stay – total cost $198*). Valid for travel until 22 June, 2018.